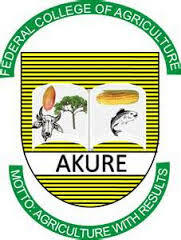 The Federal College of Agriculture, Akure (FECA) HND form for 2015/2016 is currently available as has been announced by the institution and all interested members of the public are hereby informed to apply now as the closing date has been announced. The Federal College of Agriculture, Akure (FECA) invites applications from qualified candidates for admission into full-time Higher National Diploma (HND) Courses in different areas of Agriculture and related disciplines. Entry Requirements Applicants with the following qualifications may be considered for admission into the Higher National Diploma programmes. * The Minimum entry requirement for the ND programe in General Agricultural Technology. * National Diploma with a minimum of Lower credit in Agricultural Technology. * A minimum of one year post National Diploma cognate work experience. * In exceptional cases, ND diplomats with a pass(CGPA of 2.00-2.49) in the ND examination with two or more years of cognate experience in a specified field may be considered for admission into the HND programmes. Entry Requirements: Applicants with all the following qualifications may be considered for admission into the Higher National Diploma Programme by Direct entry. * Minimum entry requirements for ND programme in Genereal Agriculture Technology. The Minimum entry requirement for National Diploma in any Agricultural Programme. * In exceptional cases, ND diplomats with a pass (CGPA of 2.00-2.49) that had two years of cognate experience in the specific field may be considered for admission into HND programme. * All the requirements for admission into the ND programme in Agricultural Technology. * A minimum of Lower credit pass (CGPA 2.50) and above in the cognate ND examination, ND diplomats examination in Agricultural Technology. * In exceptional cases ND diplomats with a pass (CGPA 2.00-2.49) and two years of cognate experience in the specific field may be considered for admission into the HND programme. * The minimum requirement for the ND programme in Agricultural Technology or Forestry Technology. * National Diploma with a minimum credit pass in Agricultural Technology or Forestry Technology. Visit for the application form. Create a profile and then visit any branch of Zenith Bank PLC to make a payment of the specified amount. You will receive an Application Token/ID. Applicants are to login to their profile on the portal and add the application token, then proceed to fill the form. After completion, print out the confirmation page. Duly completed application forms, accompanied with photocopy of certificates or certified true copy of examinations taken with a letter of minimum of one year work experience and two self address envelop with N50 stamp affixed, should be returned to the Registrar 0f FECA (HND applicants only) not later than 30th September, 2015. All applicants must attach letter of recommendation form the Principal/Provost of the school attended. All HND applicants must ensure that their transcript are forwarded on or before the closing date. Date for the screening of candidates will be announced later. The Federal College of Agriculture, Akure (FECA) invites applications from qualified candidates for admission into Preliminary National Diploma (Pre-ND) Courses in different areas of Agriculture and related disciplines. Four passes at the GCE “O” level / SSCE / NECO, passed at not more than two (2) sittings. The four subjects must include English Language and Mathematics. In addition, candidates must obtain passes in subjects relevant to their proposed field of study. The Federal College of Agriculture, Akure (FECA) invites applications from qualified candidates for admission into full-time National Diploma (HND) Courses in different areas of Agriculture and related disciplines. Below are the available courses on offer for the 2015/2016 session. Requirements: Four passes at GCE “O” level / SSCE / NECO, passed at not more than two (2) sittings. The four passes must include Biology / Agricultural Science, Chemistry and two of the following subjects; English Language, Mathematics, Geography, Economics, Statistics and Physics. In addition, candidates must obtain passes in subjects relevant to their proposed field of study. At least a pass in English and Mathematics/Statistics is compulsory. Candidates who have successfully completed the NBTE recognized Pre-National Science and Technology Course may be admitted into the programme. Such students must have passed Biology/Agric. Science, Chemistry, Mathematics and English Language at WASC, SSCE or GCE “O” level or NECO before undertaking the course. Students are only admitted through the Joint Admission and Matriculation Board Examination (JAMB). Entry Requirements: At least a pass in English language and credits passes in four subjects at not more than two sittings in GCE “O”level, SSCE or WASC. The four subjects must uinclude Mathematics, Physics, Biology/Agric Science, Chemistry and one other subject. At least a pass in English Language and four credit passes in an NBTE recognized preliminary National Diploma course offered in a Polytechnic or similar post Secondary Technical institution. The credit passes must include , Physics, Chemistry and Biology. Students are only admitted through JAMB. *Cut-Off Mark: TO be determined by JAMB. * Five (5) ‘O’ level credits including Mathematics and English with three (3) other science subjects.